The first book was read for my neighborhood book group, and the next three were all read for Booktopia. Because of my Booktopia focus, they were all adult fiction, plus the memoir at the start of the month, so no YA or middle-grade last month for me. And I only finished one audio last month because my husband and I started one on our trip but didn't finish it. All four of these books were outstanding, and I would highly recommend them all to just about anyone (check out my reviews at the links). 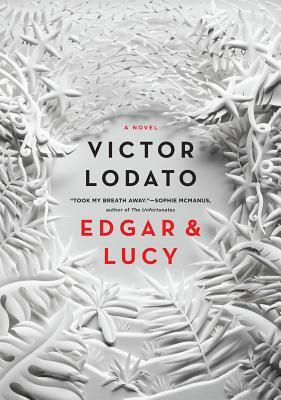 If you were to force me to choose a favorite, it would probably be Edgar and Lucy, though it's a very close contest. I also thoroughly enjoyed meeting the authors of the last three at Booktopia. Victor Lodato has a background in theater, and hearing him read from Edgar and Lucy was absolutely amazing - we could have listened to him read to us all day! This is my favorite part of my monthly summary - updating my Reading Challenges! I did not read a single book from my own shelves for the second month in a row for my Read Your Own Damn Books Challenge! I plan to rectify that now that Booktopia is over. 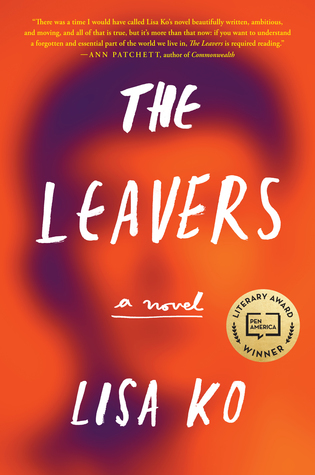 For the Monthly Motif Reading Challenge, April was Award Winner month and The Leavers by Lisa Ko won the PEN/Bellwether Prize for Socially Engaged Fiction, awarded by Barbara Kingsolver (no wonder I loved it so much!). Another month without a single classic for the 2017 Back to the Classics Challenge - I have to do better on that one! I slotted all 4 books into categories for my Well-Rounded Challenge, but that is getting tougher as the categories fill up. For my Travel the World in Books Reading Challenge, I added China. For my 2017 Literary Escapes Challenge, I added Hawaii and Wyoming. 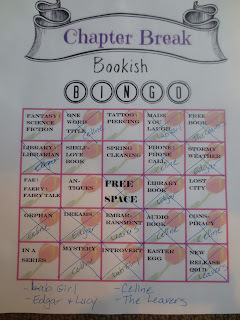 Finally, Bookish Bingo hosted by Chapter Break - not really a challenge per se, but a fun game that I play each month! 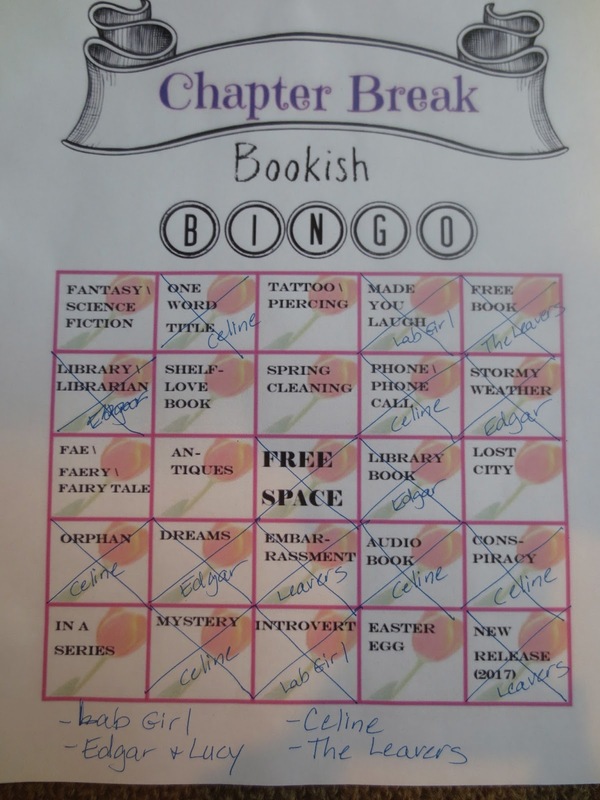 Here is my Bingo card for April, with 15 squares filled in, which is pretty good for only four books! Looking at how we're doing on challenges is a good check-in. I've been doing pretty well on reading books based in new countries, but not so great on ones set in new states. 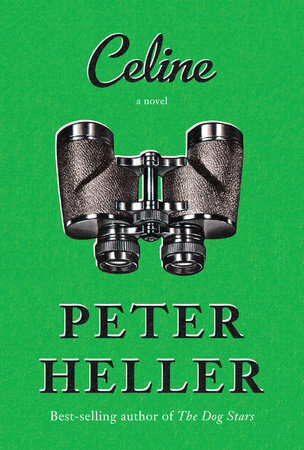 Same with me, Helen - too many books are set in NY! Great job on the 15 squares with just a few books! Hey Sue, I'm currently reading "A Picture of Dorian Gray" by Oscar Wilde. 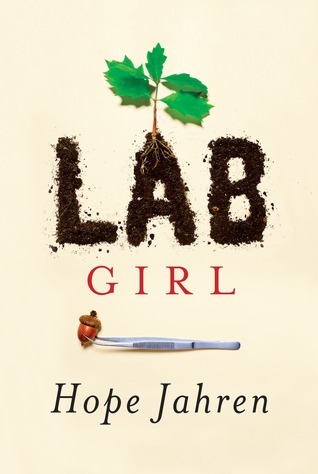 I'm sure you've read it, but re-reading a classic can never do you any harm. I think you should pick it up for your classic challenge in May! Maybe I will grab a copy from the library! Thanks!